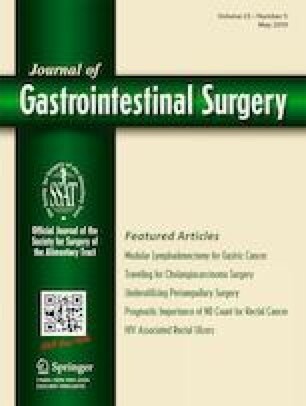 This study aimed to investigate the prognostic significance of negative lymph nodes (NLNs) for ypN+ rectal cancer after neoadjuvant chemoradiotherapy (nCRT) and radical surgery and to construct a nomogram predicting disease-free survival (DFS). One hundred fifty-eight eligible patients were included. X-tile analysis was performed to determine cutoff values of NLNs. Clinicopathological and survival outcomes were compared. A Cox regression analysis was performed to identify prognostic factors of DFS. A nomogram was constructed and validated internally. X-tile analysis identified cutoff values of 4 and 16 in terms of DFS (χ2 = 8.129, p = 0.017). The 3-year DFS rates for low (≤ 4), middle (5–16), and high (≥ 17) NLNs group was 15.2, 55.5, and 73.1%, respectively (P = 0.017). NLN count (NLNs ≥ 17, HR = 0.400, P = 0.022), IMA nodal metastasis (HR = 1.944, P = 0.025), tumor differentiation (poor/anaplastic, HR = 1.805, P = 0.021), and ypT4 stage (HR = 7.787, P = 0.047) were independent prognostic factors of DFS. A predicting nomogram incorporating the four significant predictors was developed with a C-index of 0.64. NLN count was an independent prognostic factor of DFS in patients with ypN+ rectal cancer following nCRT. A nomogram incorporating NLN count, IMA nodal metastasis, tumor differentiation, and ypT stage could stratify rectal cancer patients with different DFS and might be helpful during clinical decision-making. Yanwu Sun, Yiyi Zhang and Zhekun Huang contributed equally to this work. This study was supported by National Clinical Key Specialty Construction Project (General Surgery) of China (Grant number 2012-649), Startup Fund for scientific research, Fujian Medical University (Grant number 2017XQ1028), and guiding key project of social development by the Fujian Provincial Science and Technology Department (Grant number 2015Y0058). Yanwu Sun and Pan Chi designed the study. Yanwu Sun, Yiyi Zhang, and Zhekun Huang collected the data and were major contributors in writing the manuscript. All the authors read and approved the final manuscript. This study was performed according to the ethical principles described in the Declaration of Helsinki. The institutional review board (IRB) of our hospital approved this study.